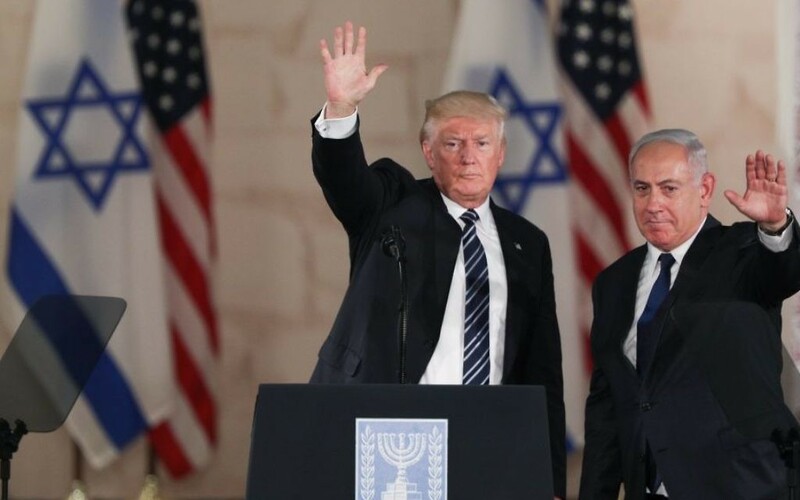 Surely nobody but Donald J. Trump could get a warm laugh from an audience of Israeli notables within seconds of highlighting the Iranian regime’s desire to destroy our country. 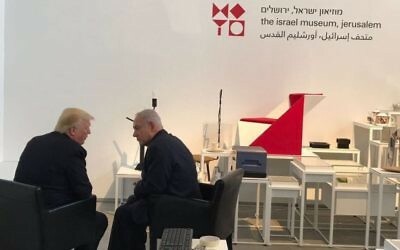 That’s what happened deep into the main speech of the president’s 28-hour Israel visit, at the Israel Museum in Jerusalem on Tuesday afternoon. The remark was met with cheers and a standing ovation. Netanyahu, on his feet, pumped a fist. “Thank you,” said the US president three times as he waited patiently for the clapping to stop. And then, waving a hand out toward his audience, with a smile, he said, “I like you too.” Cue the warm, appreciative rumble of laughter. 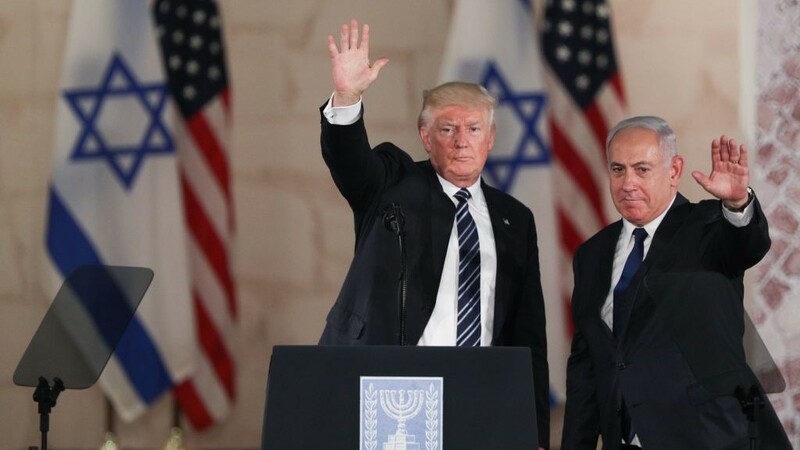 Those few seconds rather summed up Trump’s visit to Israel — his expressions of instinctive solidarity with the Jewish state, his vow to protect it, and the delight with which the country hosted him — after eight years of what Israelis always felt was somewhat conditional, caveat-filled support from president Barack Obama. “I make this promise to you: My Administration will always stand with Israel,” he promised. 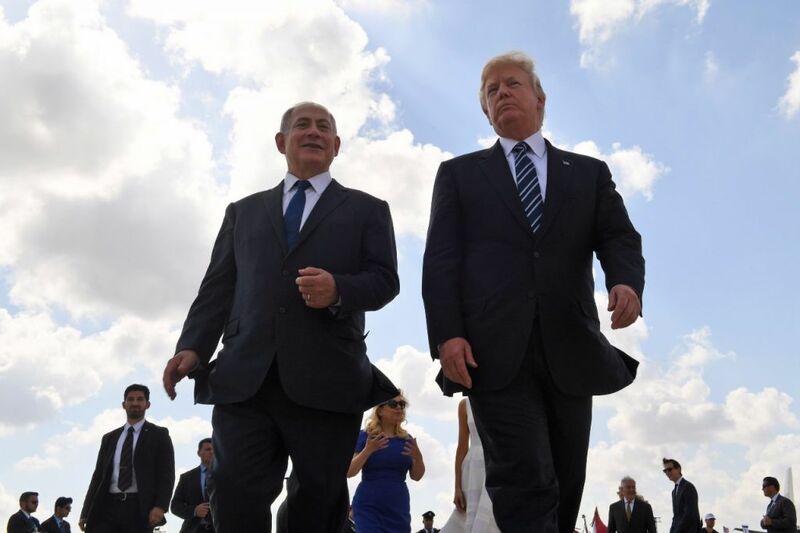 There are clear differences on the Palestinian issue between the US president and the government of Prime Minister Benjamin Netanyahu. They were on display in the two leaders’ Israel Museum speeches. There is also some disappointment on the right of the Israeli political spectrum that Trump has yet to honor his campaign pledge to relocate the US embassy from Tel Aviv to Jerusalem. Disappointment that he has made a series of remarks criticizing the settlement enterprise. That he hasn’t moved to try to scrap the lousy Iran nuclear deal. There are some concerns about the scale of the arms deals and other agreements he concluded in Saudi Arabia, and the sway that $380 billion of investments gives the Saudis in Washington. There is reportedly dismay in the intelligence establishment about his apparent leaking of Israeli intel to the Russians, and the overall question of his ties with Russia, ally of so many of Israel’s enemies. And there were many, certainly including Netanyahu, who hoped he would take a far tougher line with Abbas on the PA hierarchy’s salaries to terrorists in particular, and encouragement of anti-Israel hostility among Palestinians in general. But as the visit wound up, the overall sense in Israel was one of considerable content with a visit by a patently supportive president and his Israel-loving family (some of them Jewish). 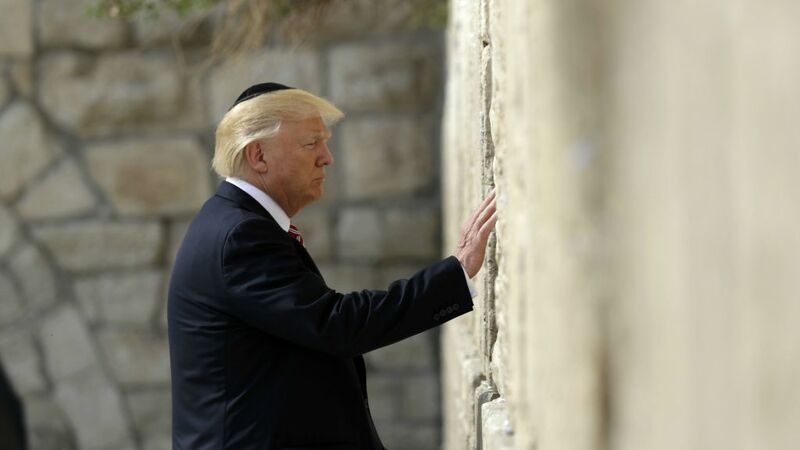 And those words, of course, were underpinned by his history-making action — as the first serving US president to visit the Western Wall, to stand there in silent contemplation, with his family nearby and a black kippah respectfully on his head. Israelis know no more than Americans about how Trump’s presidency will play out from here. They cannot be sure of what he will say or do — or how what he has already said and done will impact his term. But he came to Jerusalem. He told Israel he loved it. He empathized with the challenges it faces. He praised Israel for thriving while under constant attack. He didn’t mince words in condemning and vowing to fight Islamist terrorism. He vowed to stand with Israel against Iran and to ensure that Tehran never gets a nuclear weapon. And again, he stood in respect at the Jews’ most holy place of prayer — the picture that, fortunately, eclipsed Oren Hazan’s airport selfie as the defining image of this trip. Peace plans and other specifics? Not this time. 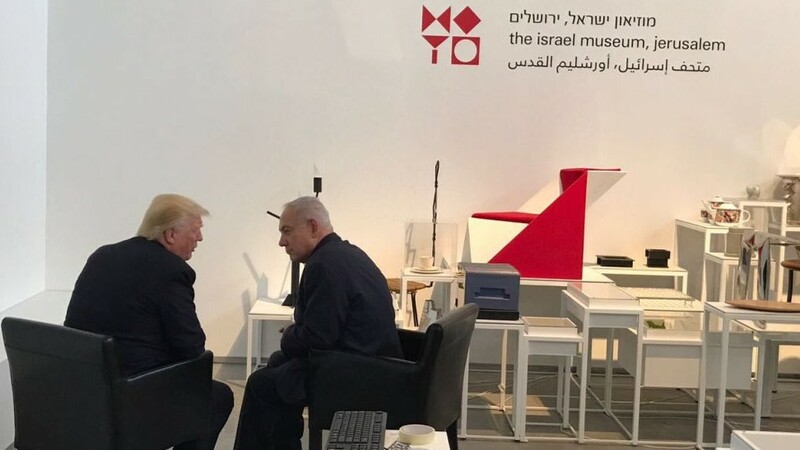 As he said at the Israel Museum, that wasn’t actually the main goal of this trip, which is to ensure maximal focus on the battle against Islamist terrorism. Frictions and arguments ahead? Who knows? 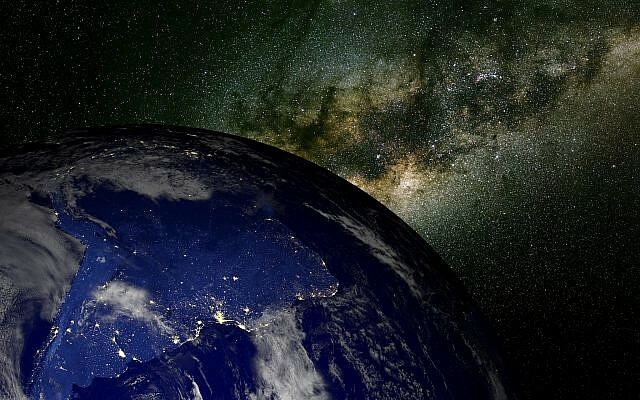 And if there is to be trouble ahead, there is now a firmer basis from which to try to resolve differences. But mutual affection? For now, certainly. In the enthusiastic aftermath of this visit, as Trump headed off to the Vatican on Tuesday afternoon, many Israelis were likely thinking, yes, we like you, too.